Microsoft has finally added Google Drive support for Outlook on Web to allow users to receive and edit the files from the Internet version of its email client. 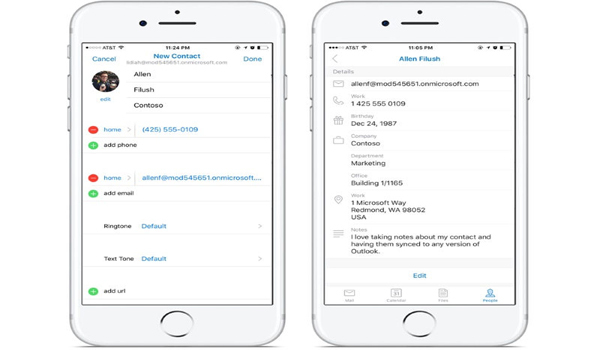 The company has also added the support for Facebook and made it easier to search for attachment in long conversations with its update to Outlook. The Android and iOS version of Outlook already allowed users to receive and edit the files from Google Drive from inside the app. However, users will now be able to edit their Google Drive documents from the Web version of the Outlook email client as well. In order to attach a file, all you need to do is open a new message and click on the attachment icon. Then you need to select Google Drive and enter the credentials of your account. After this, your Google Drive account will appear as a source when attaching files. Now, you can also open the Google Doc, Slide or Sheet files within Outlook instead of opening another window. "Just like photos and Office file types, the Google files open in Outlook next to your message window so your work flow is not disrupted. And, as with Google Drive links, if you have edit permissions, you'll be able to edit using the full functionality available on Google Drive," Microsoft said in its official blog. Similarly, after connecting your Facebook account with Outlook, you can browse and attach your Facebook photos from within Outlook. Further, Microsoft has made it easier to search for attachments inside the app as at the top of every thread, you will now find an attachment icon. On clicking this icon, it will open a drop-down list of all the attachments in the conversation. You can then simply select the file you are looking for and open it instead of clicking through each reply or expanding the thread.